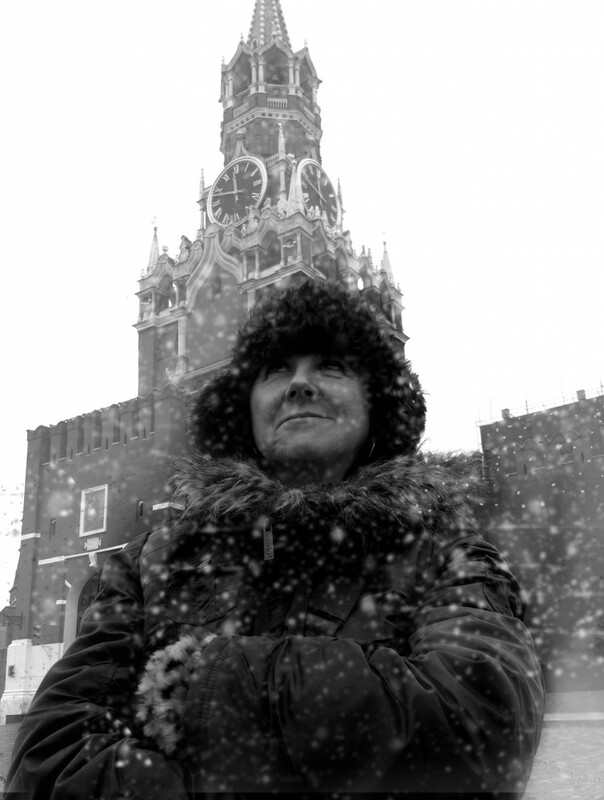 We spent an exhilarating 4 days in Moscow as guests of the Big Cartoon Festival. Special thanks to Masha Tereschenko, Dina Goder, Natasha Reysner and of course Sergey Shikalov for his impeccable translation during Joanna’s screening. 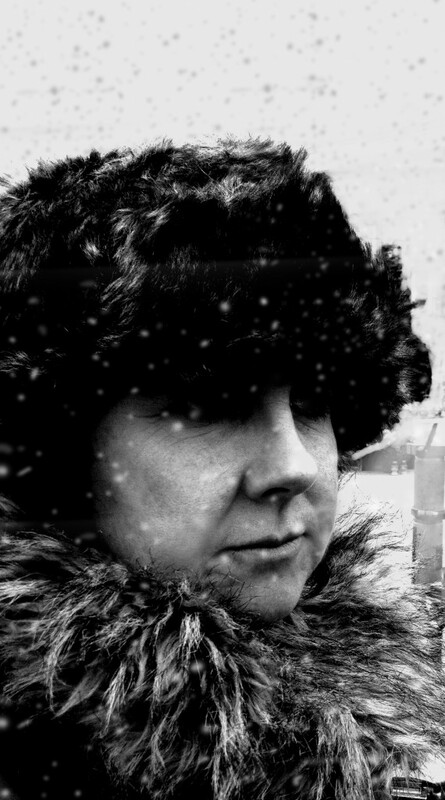 Our minder during the entire stay was Alina Agibalova who did a brilliantly professional job looking after us and initiating us unto the wonders of Moscow’s Metro system .We met up with Writer/Producer Irena Margolina and her son Goshka who’s kindness and hospitality was overwhelming. 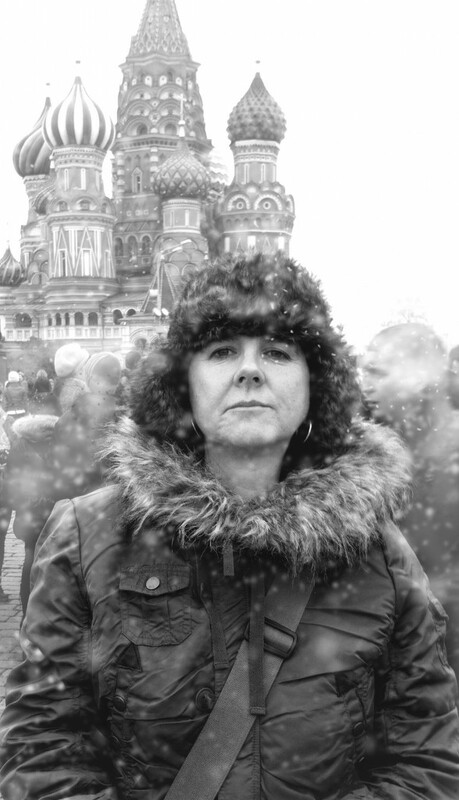 In just 2 days she took us just about everywhere important in Moscow and her knowledge and intelligence in enlightening us about many aspects of the cultural and historical ambience of the city was wonderful. 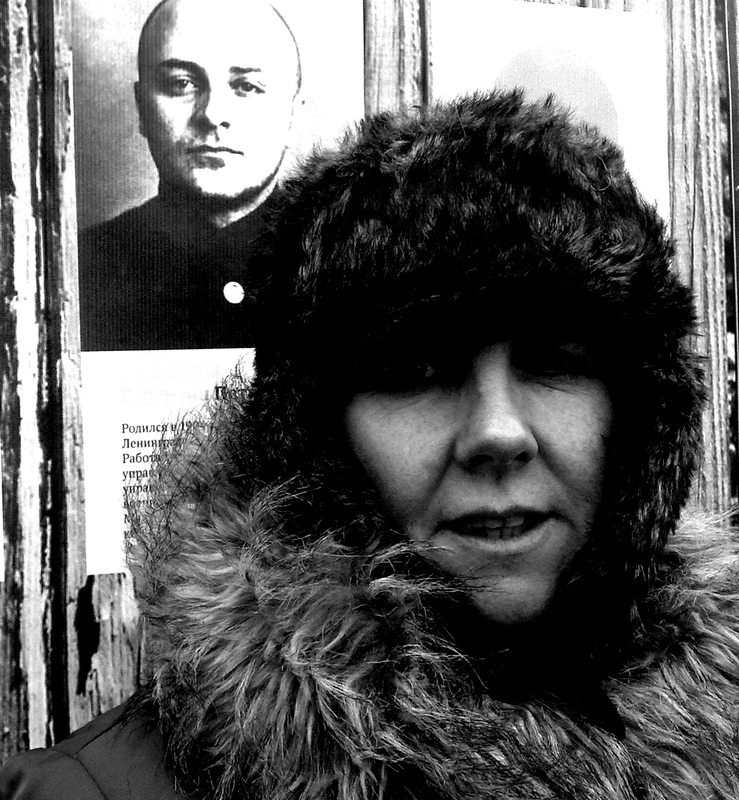 It included visiting Lenin’s mausoleum, GUM department store, Gorky Park and a great theatre performance, not to mention a fantastic Russian feast in her apartment. We will meet up again at the Bradford Animation Festival on November 10th. The trip gave us a unique opportunity to engage in some research for our next film ‘Affaires of the Art‘. 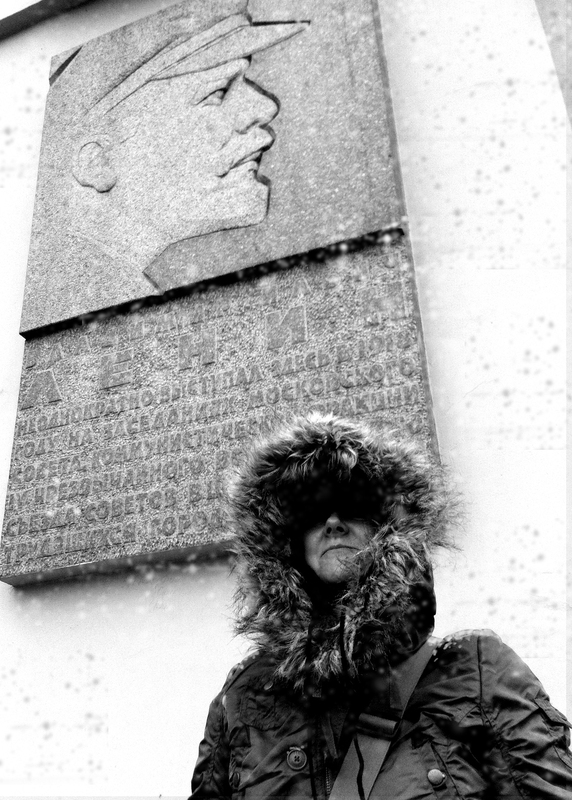 Lenin’s Tomb was really cool – so cool in fact that I got a bit carried away and the results are in the following short improvised photo narrative shot on an iPhone and embellished by a chance bizarre meeting in the Café Stolovaya. 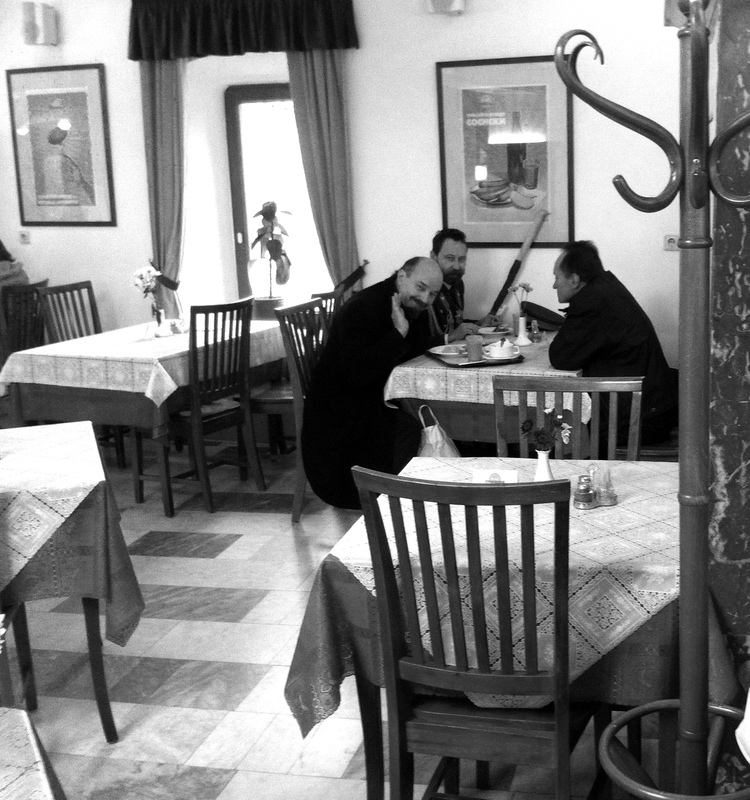 The significance of the meeting will become obvious if you read it and watch our next film someday! We look forward to another visit to Moscow some day – a great, creative and vibrant city. I had been told that Vladimir IIyich often spent long hours meditating in his chambers on Red Square. 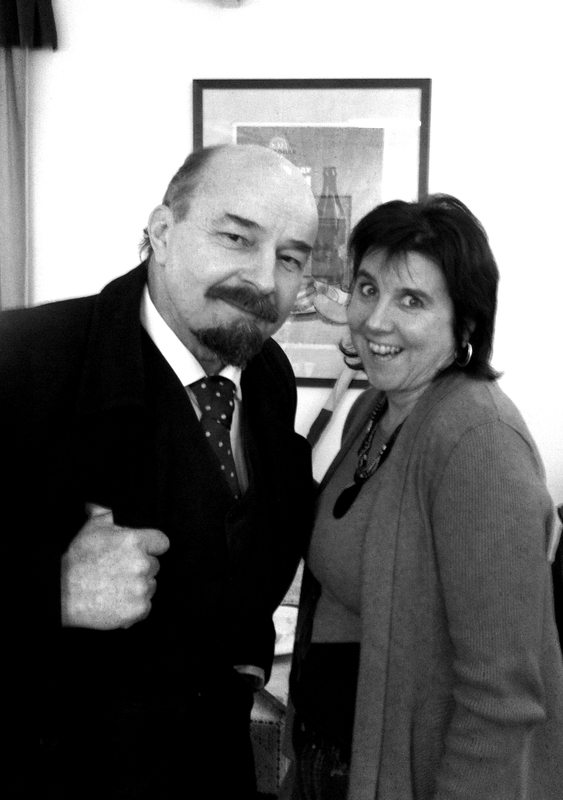 His last note to me was obligingly short. 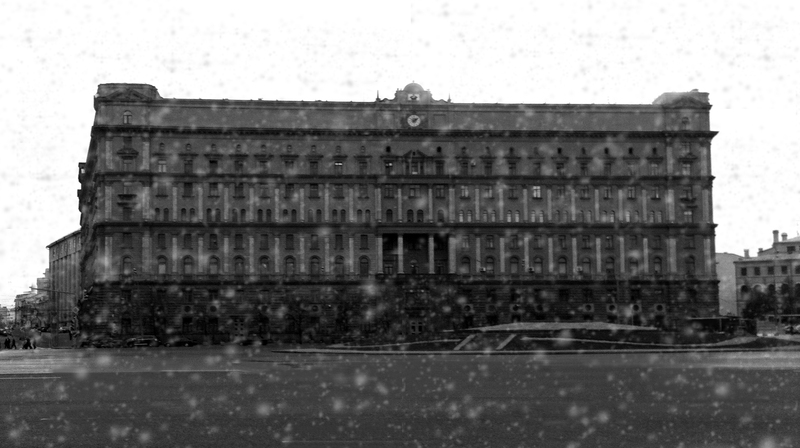 Now the grimness of the Lubyanka prison softened as the first flecks of powdery winter snow began to stick to my coat. The Moscow traffic had held me up so I was late for the appointment. I turned away, hurrying down Nikolskaya Street towards Red Square. Turning into the square, the brightly coloured onion domes of the cathedral were just visable even though it had begun to snow more heavily. What hadn’t changed though, was the severity of his expression – blank and emotionless, echoing the cold marble of the chamber behind him. I approached him and said nothing, fearing more disappointment. The voice was harsh and admonishing. Disillusioned once more, I stared at the grey granite wall now coated with a delicate dusting of white. 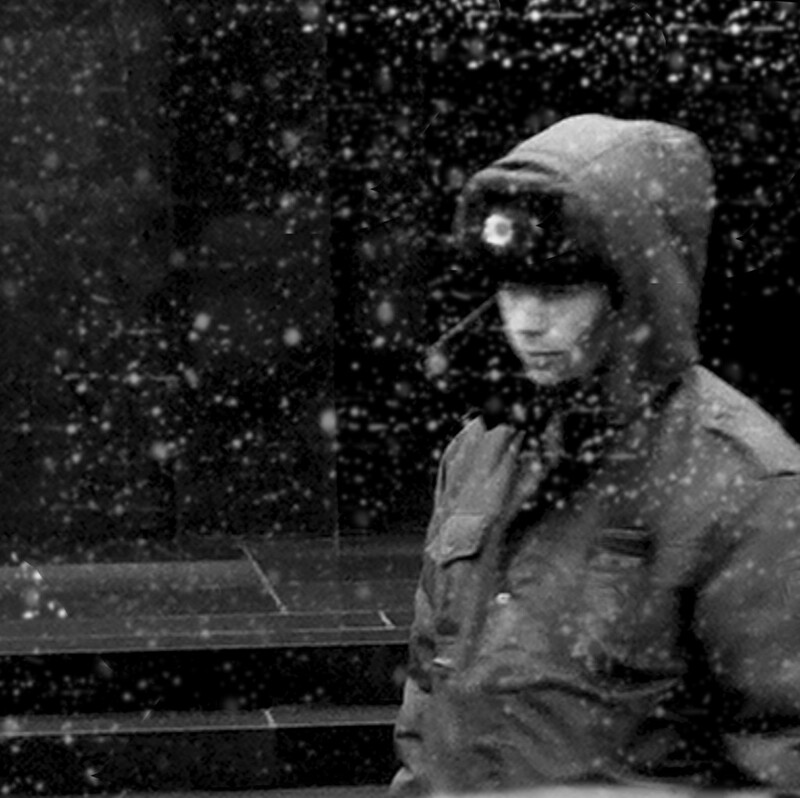 I wished that a great blizzard would suddenly sweep across Red Square and swallow me up such was my disappointment. The same stern voice though, interrupted my thoughts. The great chimes of the Spassky Tower erupted suddenly, as if celebrating my relief. It was difficult to suppress my elation. 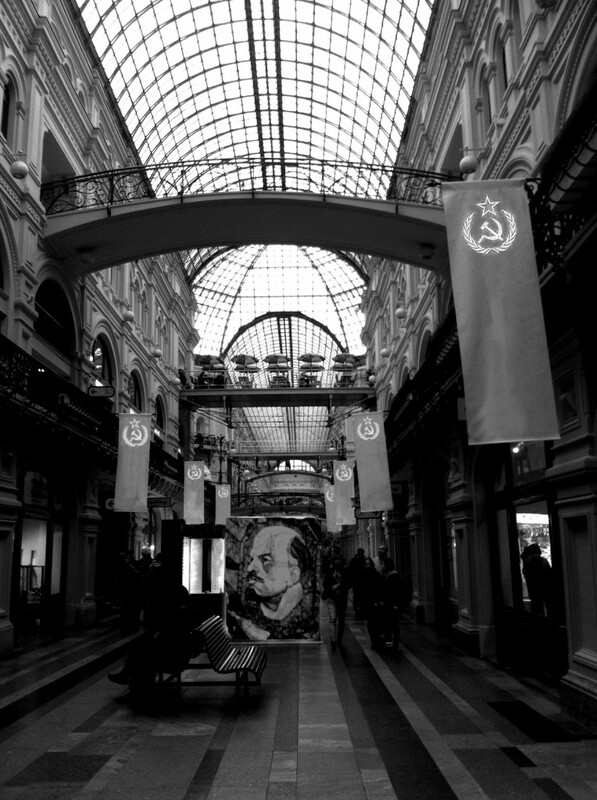 I turned and walked towards the huge store on the opposite side of the square. The warmth of GUM was a welcome contrast to the cold outside, and I climbed quickly but nervously up towards the third floor. Café Stolovaya was situated in the corner of a balcony, a prim and orderly affair with faux lace tablecloths and blood red alabaster pillars. For a few seconds I hid behind one of the pillars, composing myself, hardly daring to contemplate what was about to happen. I took one last deep breath and moved from behind the red pillar towards the figure sitting, waiting and smiling in the distance..